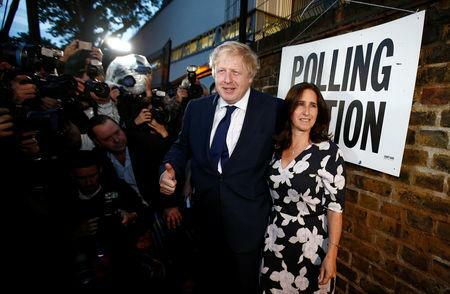 LONDON (Reuters) - Boris Johnson, Britain's former foreign secretary, said on Friday he had separated from his wife Marina Wheeler and the couple will divorce, the Press Association reported. Johnson is the bookmakers' favourite to succeed Prime Minister Theresa May and is seen as someone who would lead Britain to a more radical departure from the European Union after being the figurehead of the "Leave" campaign in 2016. In a joint statement, Johnson and Wheeler said they separated some time ago and divorce proceedings had started. Johnson's former adviser confirmed that a statement had been issued to the Press Association. "Several months ago, after 25 years of marriage, we decided it was in our best interests to separate. We have subsequently agreed to divorce and that process is under way," the statement said, according to the Press Association. Johnson is one of the most recognisable figures in British politics thanks to his shock of blonde hair and colourful turn of phrase. Advocates of Brexit say he is the man who should succeed May, and he is popular with the party's grassroots. 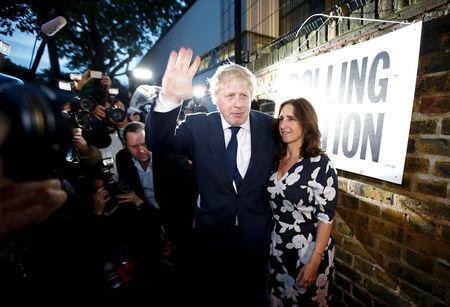 "He's still the favourite," said bookmaker William Hill spokesman Joe Crilly, commenting on the odds of Johnson being the party's next leader. "Over the years Boris has been very Teflon ... we think he's got more than a couple of lives left yet." Johnson served as foreign minister under May for two years until July, when he quit in protest at her Brexit negotiating strategy, saying it would leave Britain as a "colony" of the European Union. May's future and the direction the country will take at its most significant strategic juncture since the end of World War Two is subject to intense scrutiny as Britain enters the final phases of Brexit negotiations ahead of a March 2019 EU exit. 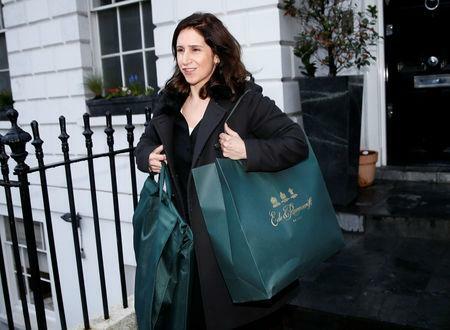 Her plan has little support in Brussels, which says she needs to agree to further concessions to make the plan workable, and within her party, where eurosceptics say she has already conceded too much ground by seeking a "common rule book" to permit free trade in goods. "I think if the government was to fall then he would probably prosper at the point of maximum chaos but if she gets through Brexit I cannot see him becoming leader," Giles Kenningham, a former adviser to 2010-2016 Prime Minister David Cameron, told Sky News.